La Reserva Rotana golf course is a private course, solely for the use of clients of the La Reserva Rotana Hotel, a 17th century manor house offering just 22 rooms or suites. 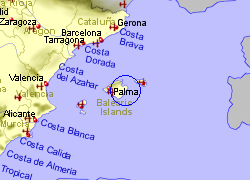 The course is par 36 with a length of 2,500 to 2,815m. Facilities include a driving range, putting green, chipping green, practice bunker, and restaurant. 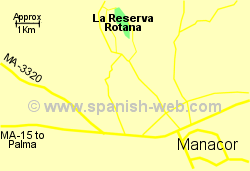 Map of the La Reserva Rotana area.